The purpose of this study was to test the management leadership on competitive strategies with manufacturing strategy and firm performance in an uncertain economy. This paper proposes that management leadership has a strong influence on cost leadership and differentiation that affects the manufacturing strategies (cost, delivery, flexibility and quality) leading to firm performance. Four hundred questionnaires were distributed to the firm operating in an uncertain developing economy. Two hundred and seventy-eight questionnaires were found to be usable. A strong evidence for the leadership relationship with competitive strategies, manufacturing strategies leading to firm performance confirmed the theory. Thus whether the firm chooses to pursue cost leadership or differentiation strategy, emphasis was found on flexibility to be strongly related to firm performance in an uncertain economy. However, if a firm choses differentiation strategy they need to focus on quality in order to gain market share, profitability and overall competitive advantage. 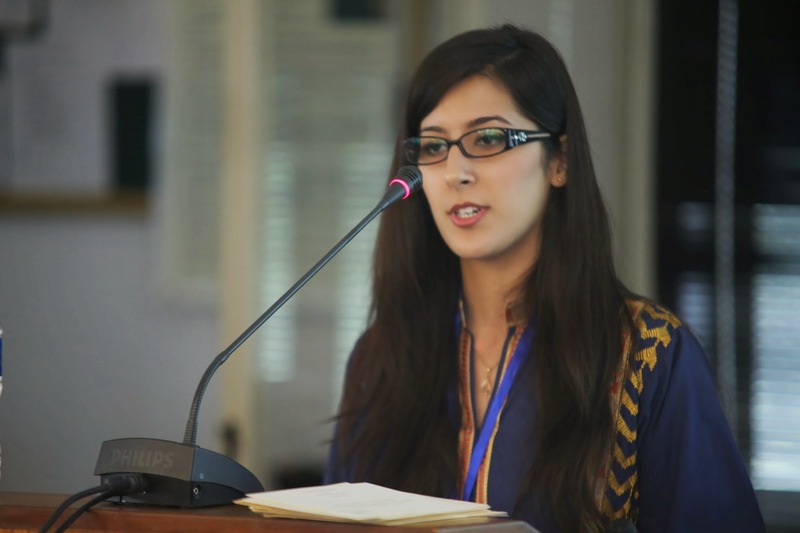 Shamila Nabi Khan is a Lecturer and PhD scholar at the Lahore School of Economics. She had several publications in journals related to Behavioral Sciences. 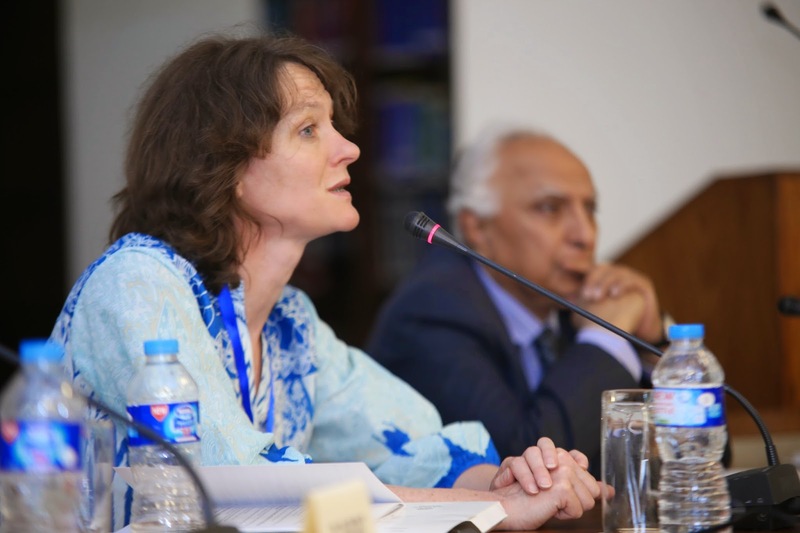 She has presented in international conferences in Lahore, Paris and Athens and conducted several workshops in Lahore School of Economics. This live case study has been conducted on a startup entrepreneurial venture that deals in Organic Foods. The study has resulted in discovering a number of issues ranging from a lack of consumer research to determine the profile of a typical customer to finding out the best marketing strategy for the new entrant in the market. Currently the management is unaware of which segment of the market is most suitable and what critical activities should be performed in order to tap that segment. The market study shows us that there is very little awareness amongst the consumers about the difference in Organic and regular food. The perception and awareness about the benefits of organic foods is limited to a small percentage of the society. The management also needs to clearly define its Corporate and Business level strategies before it formulates the Marketing strategy. The management needs to understand the importance of having a clear distinctive positioning and differentiation strategy, to maintain a competitive advantage in the minds of the consumers. The management has not conducted any research to provide answers to these issues and considers the exercise as unnecessary expense. The study also identifies briefly, the issues related to the general Management and operations of a startup entrepreneurial venture dealing in Organic Foods. 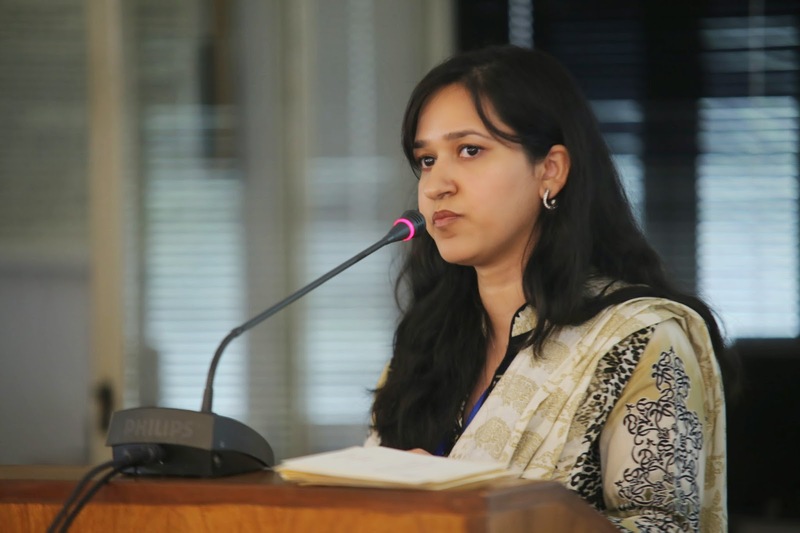 Tania Hasan is an MBA from IBA Karachi, majoring in Marketing.She has twelve years of experience in teaching both at undergraduate and graduate level. Currently she is working as a visiting Faculty in Business department at the Lahore School of Economics. She teaches, Marketing Strategy, Consumer Behavior, Marketing Management, Management: policy and practice, Entrepreneurship and Business Communication. Her major interest is in Positioning Strategies, Consumer Behavior and the effects of various strategies on the minds of the consumer. The authors argue that while market orientation leads to firm performance in the products context, it might not be an effective driver of performance in the services context. The authors propose customer value orientation, anchored in customer relationship management (CRM) literature, as a driver of performance in the services context. Results from analysis of a multi-industry dataset show as hypothesized that customer value orientation is associated with performance in the services context, although the possibility that market orientation also plays some role cannot be precluded. The reverse is found in the products context. Implications are discussed for the ongoing debate regarding the difference between services and products, for customer satisfaction research, and for the marketing concept. Managerially, the authors propose market orientation and customer value orientation as a pair of strategies that marketers can help their CEOs choose between or combine depending on the product-service mix that the firm offers. 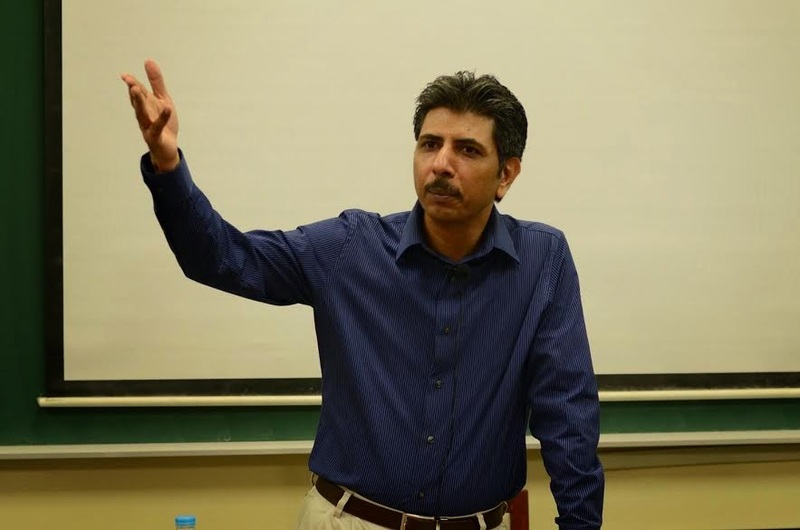 Dr. Aamir Khan is Associate Professor of Marketing and Organizational Behavior at the Lahore School of Economics. He is also Associate Dean (Executive Education). Dr. Aamir Khan was a Rhodes Scholar at Oxford from 1986-9 where he won Exhibition and Open scholarships, and where he obtained a First Class in French literature. He also has a PhD in Marketing from Cranfield University (UK), an MSc in Management from INSEAD, an MSc. in Sociology from Oxford, an MBA from CEIBS and a BSc in Electrical Engineering from UET. He was a University Lecturer in Marketing at Cranfield and later Associate Professor at SDSB LUMS where he was also Faculty Director of Rausing Centre. His research interests have revolved around market orientation and customer value orientation, whereas his teaching interests include marketing management, brand management, and organizational behavior. He has taught extensively at the PhD, EMBA, MBA and undergraduate levels. 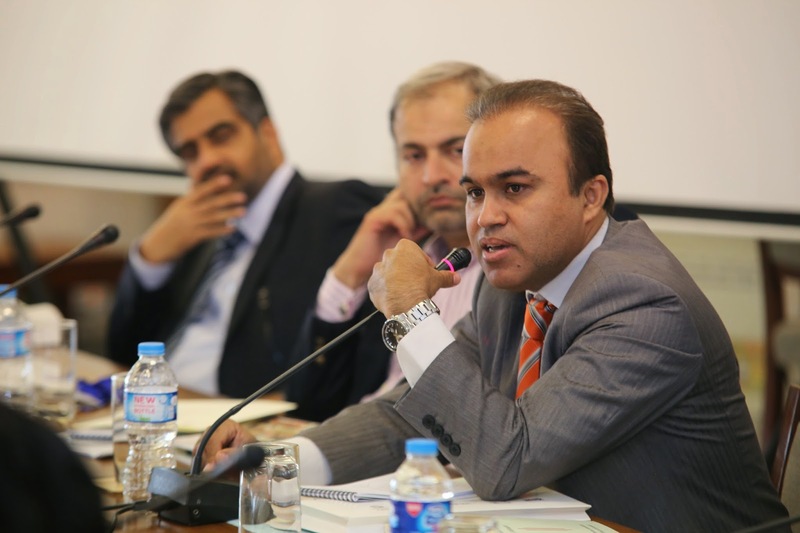 He has also taught a large number of executives in Lahore, Karachi, Dubai and the UK. He has trained faculty in many places including Jakarta. He speaks fluent French and Chinese. His interests include 19th century novels as well as international relations. This empirical study investigates the curvilinear moderating effects of organizational tenure on the relationships between two status evaluations, that is, perceived external prestige (PEP) and perceived internal respect (PIR), and organizational identification (OID). This study validated the components of group engagement model in South Asian context, which highlighted the significant difference in the effects of status evaluations on OID. The importance of OID in the development of employee’s readiness for change is also explored and tested. Survey method was used for collection of data from Pakistan. The results supported all the hypothesized relationships. This is one of the few studies which have explored the potential effects of organizational tenure on identification process, and tested the relationship between OID and readiness for change. 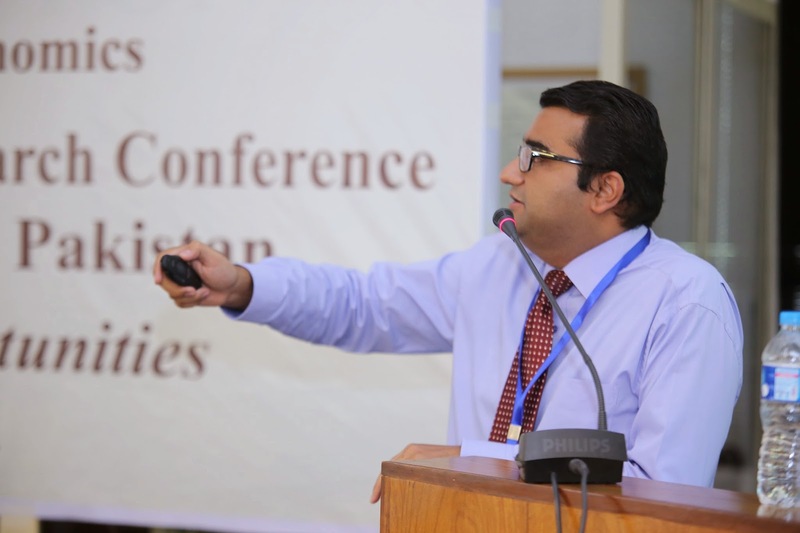 Imran Hameed is an assistant professor of human resource management in the division of Management and Organziation, UCP Business School, Lahore (Pakistan). He holds a PhD degree in management sciences (HR) from Aix Marseille University, France. His research interests include organizational identification, organizational change, psychological contracts, and employee performance behaviors. Olivier Roques (PhD) is an associate professor of human resource management in the Institute of Business Administration (IAE) of Aix Marseille University (France) where he is director of the HR master Program. His research interests include stress at work, COR theory, illiteracy in the workplace, justice, psychological contract, careers transitions and social support. 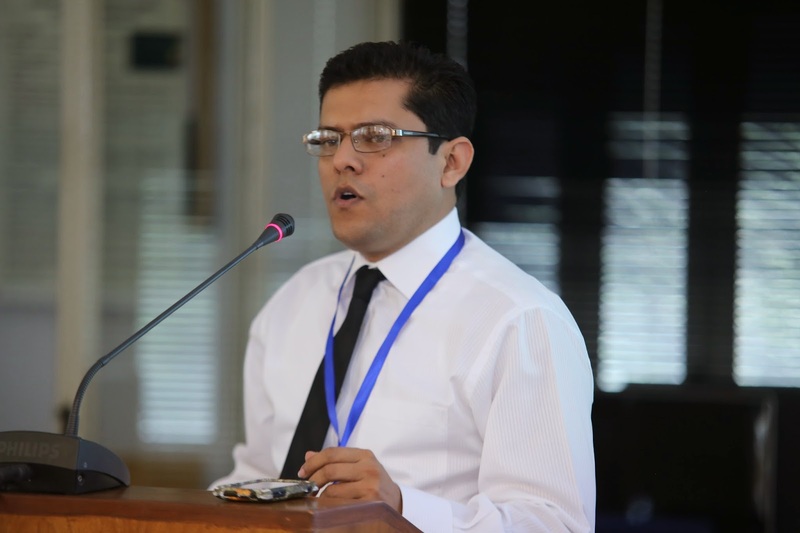 Ghulam Ali Arainis an assistant professor of human resource management in the department of business administration of Sukkur Institute of Business Administration (Pakistan). He holds a PhD degree in management sciences (HR) from Aix Marseille University, France. His research interests include employee psychological contracts, trust, emotions at work, and employee performance. Based on the institutional theory and organizational culture perspectives, this paper presents a research framework which argues that the impact of institutional pressures from buyers, competitors, and regulators on social compliance of suppliers is moderated by supplier’s organizational culture. The paper categorizes institutional pressures into normative, mimetic, and coercive pressures and defines organizational culture as a function of external focus and flexibility. An appropriate organizational culture reinforces the impact of an institutional pressure on supplier’s social compliance. Previous research provides the backdrop for developing a research questionnaire to collects data from suppliers of international companies in Pakistan to test the research framework. The labor productivity impact of innovation of manufacturing firms in Pakistan has been a neglected field of studies compared with the developed world. This topic is studied in this paper by using World Bank Enterprise Survey data from 2006. We applied the Cobb-Douglas production function, augmented with innovation-related inputs (and other expected sources of productivity) in a simultaneous two-equation system connecting innovation output to its determinants and productivity to innovation output – after correcting for the bias attributable to the endogenous nature of innovation output. Our results reveal that although both product and process innovation have significant, positive effects on productivity of all firms, Pakistani firms rely more on traditional production factors (labor and capital) than innovation, for productivity enhancement. 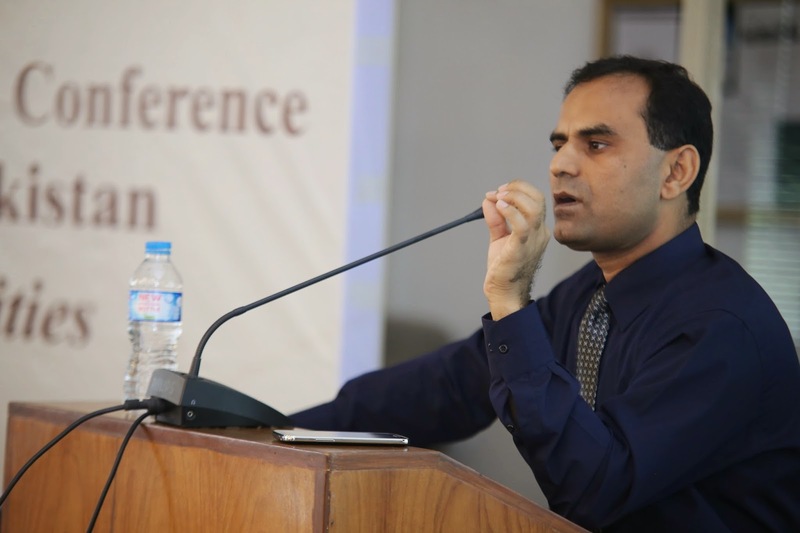 Dr. Abdul Waheed is assistant Professor at the Business School of the University of Central Punjab, Lahore, Pakistan. He obtained his PhD degree from United Nation University (UNU-MERIT) and School of Business and Economics of Maastricht University, the Netherlands. He also earned MSc in Econometrics from Tilburg School of Economics and Management of Tilburg University, the Netherlands and MSc in Statistics from Punjab University, Pakistan. He has 14 years of teaching and research experience in various national and international organizations. 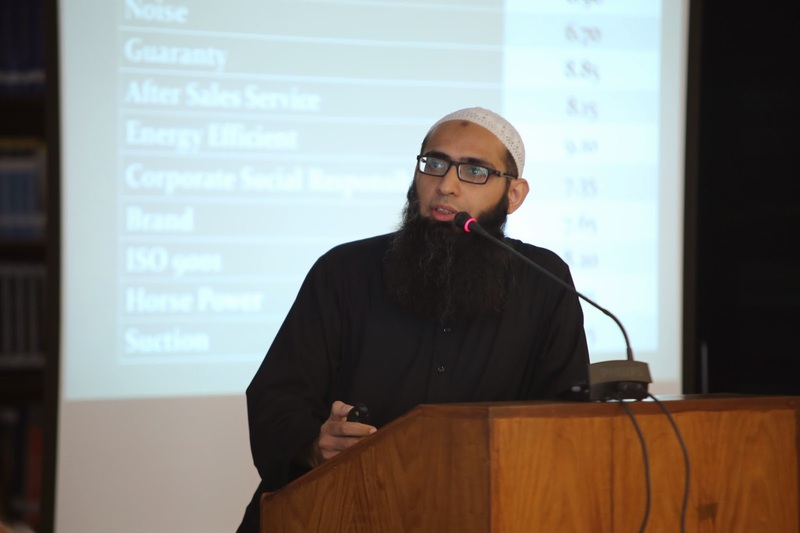 Abdul Waheed presented his research contributions in many national and international conferences such as International Symposium on Entrepreneurship and Innovation, Venice, Italy, DRUID Society Conference at Copenhagen Business School, Copenhagen, Denmark, WASET Conference on Innovation, Management, and Technology, Zurich, Switzerland, 27th Annual General Meeting and Conference, Pakistan Institute of Development Economics, Islamabad, Pakistan. Ecommerce has been promoted across the globe as one of the key enablers for youth entrepreneurship and employment. Despite a favorable internet and mobile demographics and increasing ecommerce adoption, Pakistan’s ecommerce market size remains tiny compared to other similar countries. There are strong reasons, supported by facts, to believe that Pakistan is at the brink of an explosive growth in ecommerce, should an enabling environment be provided. We conducted a qualitative study with 10 e-entrepreneurs to explore the factors hindering ecommerce growth in Pakistan. 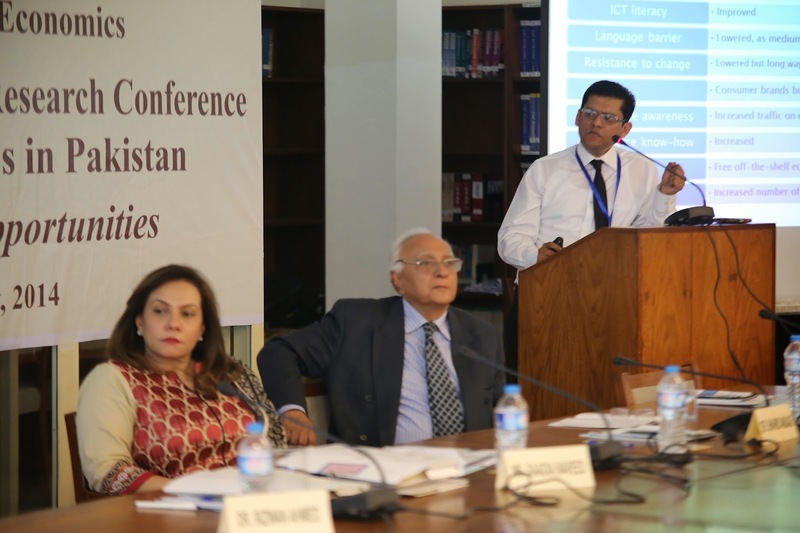 We identify that the absence of institutions and trade bodies to support and promote ecommerce, lack of applied and market research, lack of capacity building and training in ecommerce, and absence of e-payment gateways are main stumbling blocks that are hindering ecommerce growth in Pakistan. We could not find any national ecommerce policy or strategy developed by government or any independent agency in Pakistan for ecommerce growth. We suggest that development of a rational ecommerce policy based on field data and ground realities; and effective implementation of such policy has a pivotal role in providing the enabling environment for ecommerce growth. Therefore, we propose an in depth inquiry into the nature and size of ecommerce market in Pakistan, based on which ecommerce policy guidelines should be developed for ecommerce growth in Pakistan. Should an enabling environment be provided for ecommerce growth in Pakistan, a huge opportunity for youth and female entrepreneurship and employment can be created. 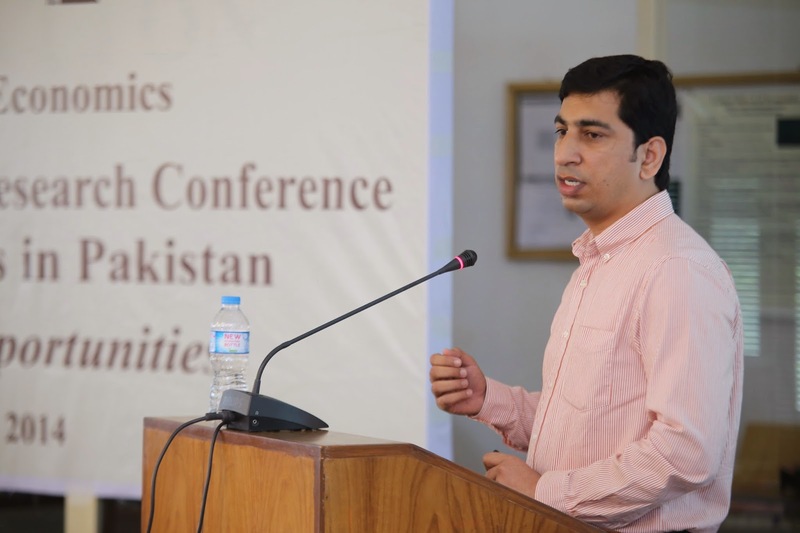 Dr. Rizwan Ahmed is an Assistant Professor in the Faculty of Business Administration at Lahore School of Economics. Prior to this he was the HoD of Information and Operations Management Division at UCP Business School. He holds PhD in Business Process Modeling and Simulation from University of Hertfordshire UK, and MSc. and BS in computing. Dr. Rizwan has over 10 years of academic and industry experience in Pakistan and the UK. He held research and academic positions at University of Hertfordshire, UK and University of Teesside, UK where he has been involved in major applied projects in collaboration with the industry. He has also been a visiting research fellow at Warwick Business School and University of Nottingham, UK. Dr. Rizwan has also worked as a management consultant at Lanner Consulting UK. In his consulting and research capacity, he has worked with the companies like British Telecom, British Airways, IBM, Rolls Royce, Lockheed Martin, and Siemens. He has also been pivotal in a project funded by the UK Department of Trade and Industry aimed at improving and reengineering the production processes of precast concrete industry in the UK. 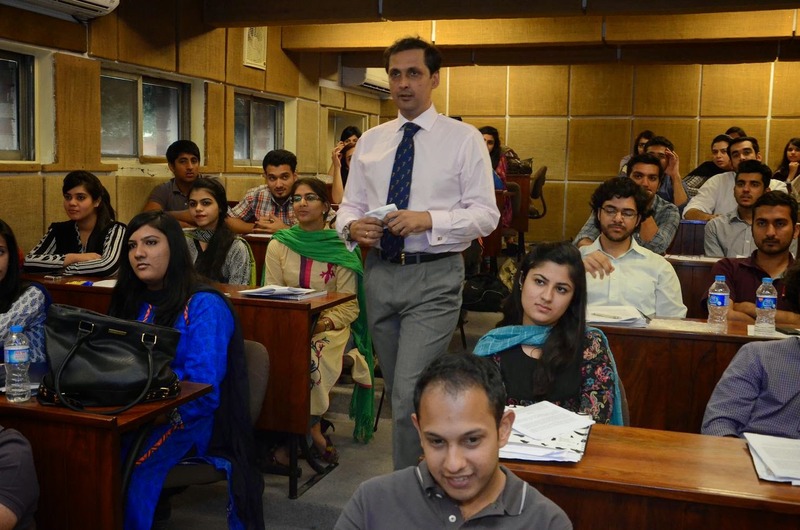 Dr. Rizwan Ahmed currently teaches courses related to Operations and Supply Chain Management to post-graduate and undergraduate classes at LSE. His previous teaching assignments include, Operations Management, Supply Chain Management, Project Management, Management Information Systems, and Systems Analysis and Design, and E-Marketing and Social Media. 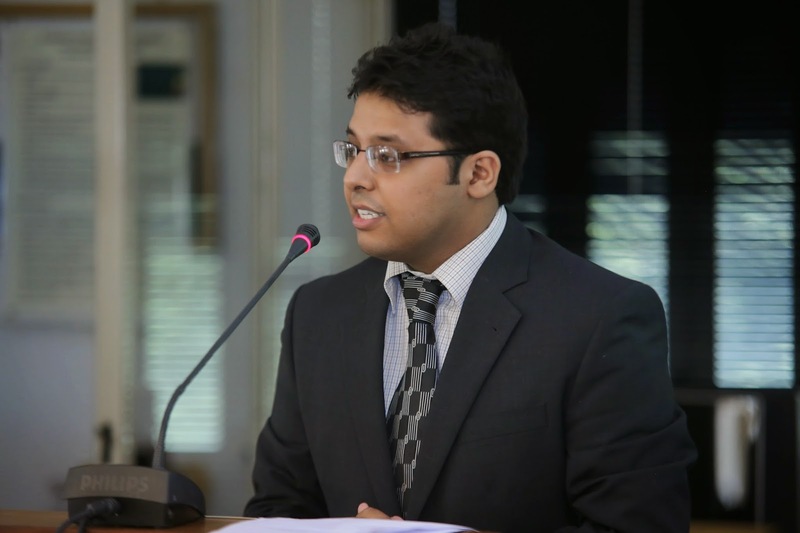 Dr. Rizwan has published in leading academic leading journals such as Journal of Operational Research Society, Journal of Simulation, and International Journal of Knowledge Management. His research interests fall in the areas of business process reengineering, supply chain management, e-commerce, and knowledge management. The aim of this paper is to transcend the dominant dichotomous depiction of formal and informal sector entrepreneurs as separate and discrete groups by rereading entrepreneurs as existing on a spectrum from wholly formal to wholly informal. To apply this degree of (in) formalization approach in order to advance debates about informal sector entrepreneurship, a 2012 survey is reported of 300 entrepreneurs in Pakistan. Evaluating what influences the degree of (in) formalization of entrepreneurs, the finding is that lower levels of formalization are strongly associated with younger and less educated entrepreneurs and those concerned about public sector corruption, high taxes and have resentment towards the government. The paper concludes by calling for a move beyond discussing informal sector entrepreneurs as a separate category to formal sector entrepreneurs and for the adoption of a degrees of in formalization approach and explores the theoretical and policy implications of adopting such an approach. 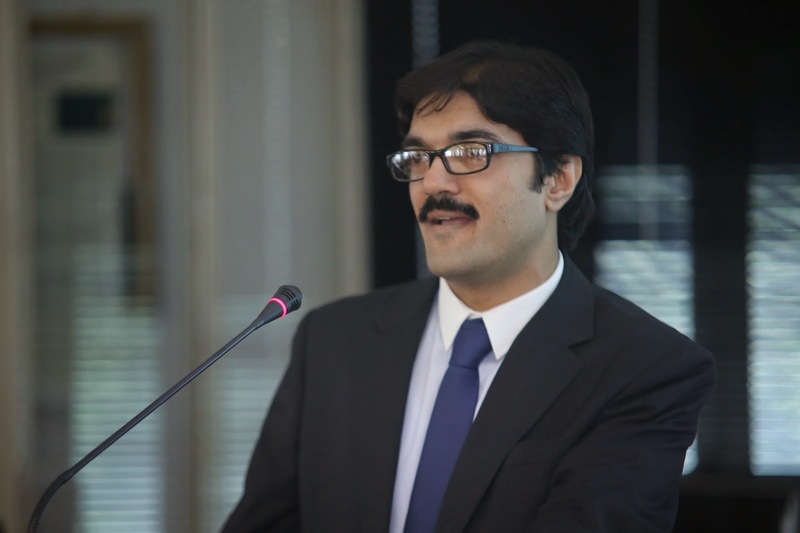 Dr. Muhammad Shehryar Shahid is an Assistant Professor of Entrepreneurship at Suleman Dawood School of Business at LUMS and is also a leading member of the Entrepreneurship Working Group at the university. He has a doctorate degree from the University of Sheffield, UK in the area of Entrepreneurship. 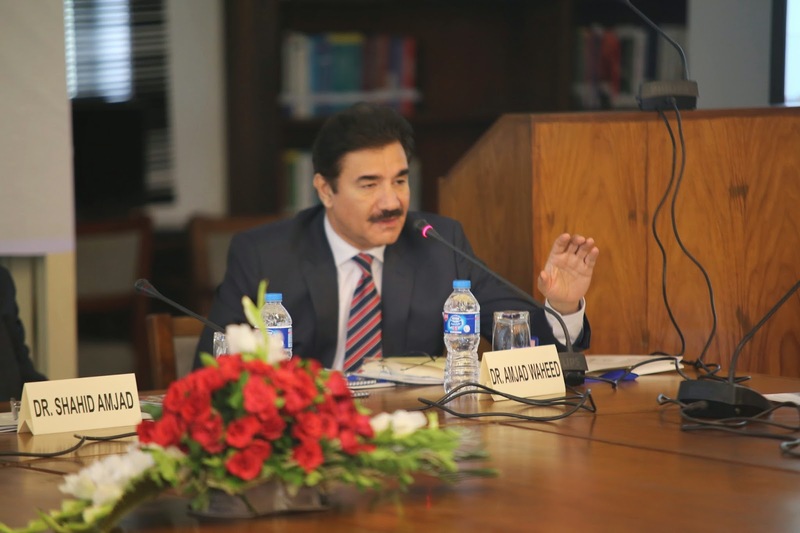 He has been educated from the Lahore University of Management Sciences (LUMS), Ghulam Ishaq Khan Institute of Engineering Sciences and Technology (GIKI) and Aitchison College, Lahore. 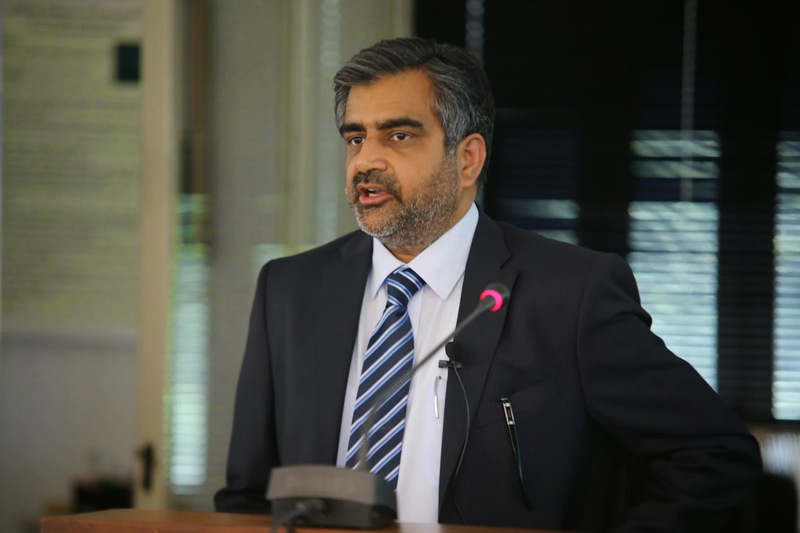 Previously, he has served as the Head of Management and Organisation Division and the Director of Centre for Entrepreneurship and SMEs (CESME) at the University of Central Punjab. He has taught courses, like Entrepreneurship, Business Model Development, Lean Launchpad and SME Management at both undergrad and postgrad level. His research interests are in the areas of informal entrepreneurship, small business growth and entrepreneurial intentions. Financial statements are the principal medium used by the firms to communicate with the capital market participants who need to believe in the quality of information provided in these statements to make their economic decisions. Corporate governance is the mechanism that ensures the quality and improves the transparency in financial reporting. Board composition and ownership structure are the major instruments of the corporate governance mechanism. The purpose of this study is to examine the impact of these corporate governance mechanisms on the quality of financial reporting in Pakistan. A sample of 50 companies from all sectors of the economy listed on the Karachi Stock Exchange (KSE) is drawn, to be studied for a period of five years from 2008 to 2012. The average of the two measures, Collins and Kothari (1989) and McNichols (2002), is used as a proxy for financial reporting quality. The empirical results show that the Pakistani firms are characterized by the larger board size, the lesser board independence and the higher level of ownership concentration and institutional ownership. However, the impact of these corporate governance attributes on the quality of financial reporting has shown mixed results. The institutional ownership has revealed significant positive relationship, whereas the board size, board independence and ownership concentration are irrelevant to the quality of accounting information. As far as the firms’ characteristics are concerned, the firm size has significant negative, while firm leverage and growth opportunities have no influence on the quality of financial reports in Pakistan. 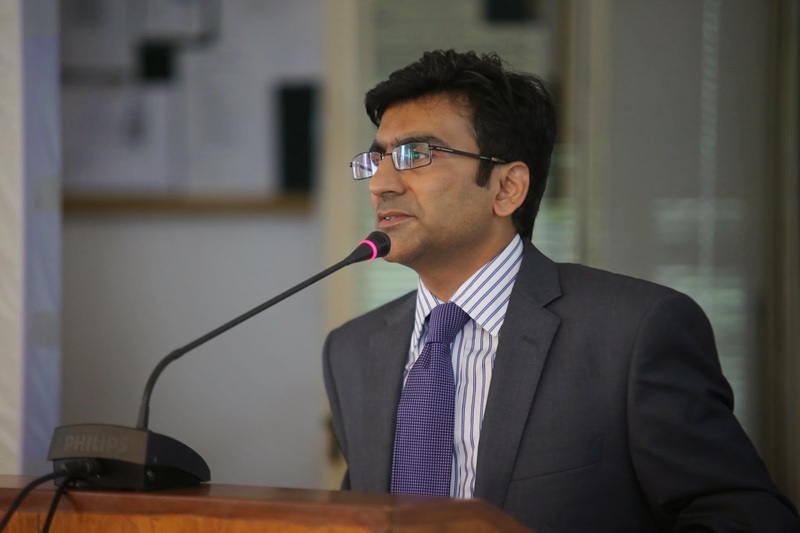 Mr. Arshad Hasan is Chief Financial Officer and Assistant Professor of Accounting at the Lahore School of Economics. He is an associate member of the Institute of Chartered Accountants of Pakistan (ICAP) and Institute of Cost & Management Accountants of Pakistan (ICMAP). Mr. Hasan has over 15 years of diversified experience of the Financial Operations and Management. Before joining Lahore school, he has worked with National Database and Registration Authority, Prime TV Channel and S.M. Masood & Company Chartered Accountant. Areas of interest include Financial Reporting, Corporate Governance, Tax Planning, Risk Management and Project Appraisal. Dr. Doaa Aly is Senior Lecturer in Accounting at the University of Gloucestershire. She has passed the CPA exam in USA, and was awarded her PhD and a research diploma from Hull University. Doaa’s research interest is in accounting reporting and disclosure. In particular, she is interested in investor relations, corporate governance and auditing. She is a member of the Investor Relations Society in London and a member of the British Accounting Association. She has worked in different international educational institutions such as Hull University, the Centre for Adult and Continuing Education, The American University in Cairo and Faculty of Becker Professional Review. The paper is aimed at examining the earnings management through deferred taxes calculated under IAS 12. Atwood et. al. (2010) found that the book-tax nonconformity leads to better earning quality and higher association of earnings and future expected cash flows. Different components of deferred tax line items reverse the tax effects at different times. As per Wong et. al. (2011) such component wise partial allocation is more value relevant than the comprehensive figure of deferred tax. Pakistan is one of the pioneer implementers of IFRS. Our hypothesis is that in Pakistan components of deferred tax disclosed under IAS 12 provide value relevant information to equity investors. We have divided the deferred tax components in three categories, those arising from operational activities, investing activities and financing activities. These activities are further sub-divided to ensure that no value relevant component was aggregated with a non-value relevant component that leads to information slacks. Our sample includes data from 2009 to 2013 of Shariah compliant companies indexed in KMI-30. We find that deferred tax line items in Balance Sheet are reflected in market prices. Also investors treat differently deferred tax line items arising from operating, financing and investing activities. Furthermore the value relevance is dissimilar for different components of deferred tax. Some, like unabsorbed losses, are negatively associated while others like depreciation/amortization are almost value irrelevant. The paper would help understand the significance of deferred taxes in equity valuation and the possibility of earnings management with respect to deferred taxes. There is a significant need for such a paper as no work has been done regarding this in Pakistan or even in any other country that has adopted IFRS. Abdul Rafay is a Fellow member of Institute of Chartered Accountants of Pakistan. Since 2001, he is a life time member of Lahore Tax Bar Association. He served as Co-regional Director (Founding) of Lahore/Islamabad Chapter of Professional Risk Managers International Association (PRMIA), Washington, USA (2011-2013). In 2012, he was nominated as Member: Education & Training Committee (ETCOM) of The Institute of Chartered Accountants of Pakistan (ICAP). He is REDC Alumni of Lahore University of Management Sciences (LUMS). Recently his name is included in the list of "Certified Directors" as per Clause (xi) of The Code of Corporate Governance 2012 issued by Securities and Exchange Commission of Pakistan (SECP). 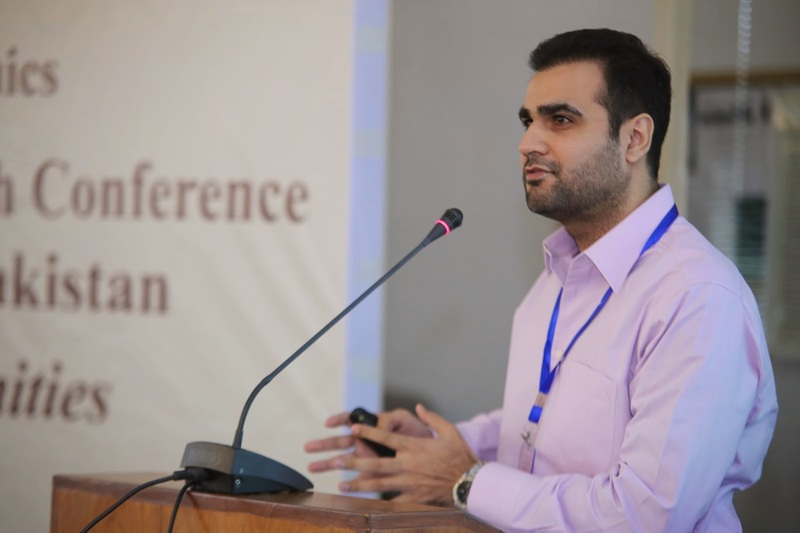 Mobeen Ajmal is a lecturer in School of Business and Economics at University of Management and Technology, Lahore. 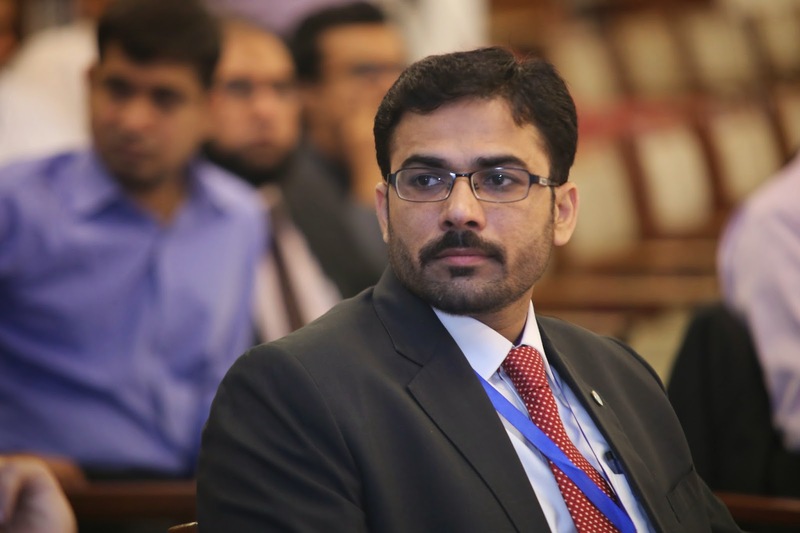 He received his MBA degree at Lahore University of Management Sciences with distinction. His research interests include Risk Management, Taxation and Financial Modeling. The Pakistanis are the most heavily, rather over-taxed, people in the entire South Asia--not only total taxable population but million of those having below taxable income are paying taxes at source, but not claiming refunds by filing of returns. In most of the cases, the tax deducted is the full and final discharge of liability. Section 115(4) of the Income Tax Ordinance, 2001 says that this class of taxpayers is only required to file statements and not regular returns. Since only a fraction of taxpayers file returns or statements, a wrong impression exists that our income tax base is narrow. According to Pakistan Telecommunication Authority (PTA), there were 118 million mobile users in Pakistan as on 30 June 2012. A huge population, not less than 60 million (if we exclude multiple and inactive subscribers), paid both 10% income tax and 19.5% sales tax for using this facility in 2011, but only 513,044 individuals filed income tax returns. Federal Board of Revenue (FBR) did not bother to issue notices to them after utilizing data available with the service providers. Majority of the mobile users might not have taxable income yet they never bothered to claim the tax withheld back by filing tax returns If Pakistan has 10 million individuals having taxable income of Rs.1.5 million (a very conservative estimate), total income tax collection from them should have been Rs.3750 billion. If we add income tax collected from corporate bodies, other non-individual taxpayers and individuals having taxable income up to Rs.1,000,000, the gross figure would be nearly Rs.5000 billion. FBR collected only Rs.716 billion as income tax in fiscal year 2011-12 showing a whopping gap of Rs.4984 billion in income tax alone. Mr. Jalal Ahsan, FCA specializes in Income Tax / Sales Tax planning preparation of returns. He carried out audits of listed and non listed companies and development of accounting systems. He has also represented clients in signing of acquisitions, non competition, trademarks, royalty and technical agreements.Mr. Ahsan has also served as a nominee of Chairman, National Accountability Bureau in the Reconciliation Committee of the State Bank of Pakistan. Corporate Governance is about promoting Corporate Fairness, Transparency, Accountability, Legal Compliance and Ethical conduct. Economic crisis, strict regulations and rising concerns over transparency, accountability have increased the focus on both ‘the role of the Board’ and ‘its effectiveness in executing its responsibilities’. The corporate sector in Pakistanhas had its fair share of corporate failures, scams and scandals. This warranted the need of a proper code of corporate governance. This paper will review the practices that have been adapted in Pakistan and their evolution over time. 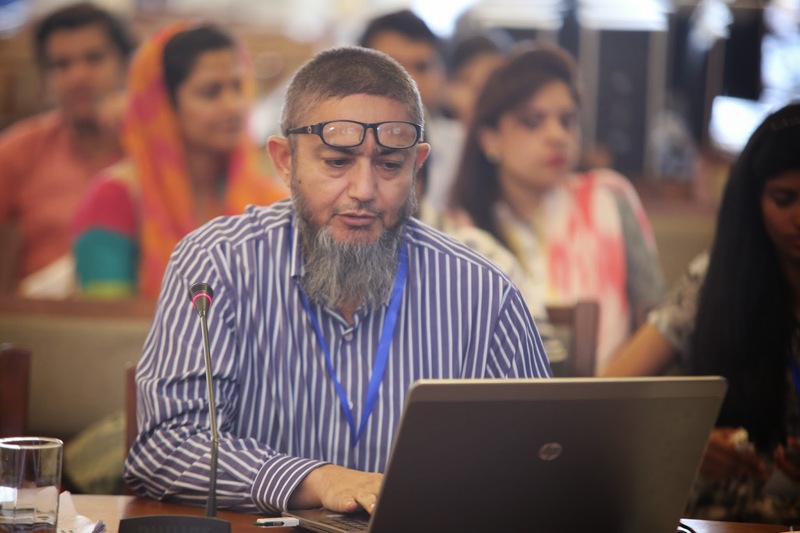 Mr. Abdul Rahim Suriya is the fellow member of ICAP and ICMAP. He is also the past President of ICAP, council member of ICAP for 16 years, Member of International Education Board of IFAC for 6 years and member SAFA Board from 2011 to 2013. He authored a book on “A Guide to Business Decision Making. A is visiting faculty member of IBA and a trainer on Corporate Governance and Finance for Non Finance Executives. Financial Reporting is fundamentally an aid for informed decision making and accountability. The huge business of today would not have been sustainable without effective financial reporting. The art and science of preparation of financial statements have come a long way during the last 25 years. These financial statements have become very elaborate, informative and incisive. The genesis of modern day financial accounting and reporting, lies in the advent of multi-nationals. Need for uniform accounting practice was felt greatly and the users of financial statements also needed, among other things, transparency into the affairs of an entity, especially those using public money. Thus a common platform for accountants around the world was created and International Financial Reporting Standards and International Standards on Auditing were developed to achieve the objectives of uniformity and fair presentation. Since then business managers and investors are in a position to do better analysis of performances of the business and are in a position to make quality decisions. Sometimes we learn about the importance of something when it is not present. People world over understood the importance of sound accounting practices which should provide rules for recognition of all assets which an entity owns and all liabilities which are its obligations after the sad incident of Enron. Since Enron, not only accountancy profession but legislators and regulators also have come a long way towards rectifying the matters which led to Enron. We accountants have done a lot in ensuring that all that which belongs to an entity should be there in its financial statements. Thus, during the last 15 years i.e. since Enron, accountancy profession has brought a lot of changes in the basis of preparation of group financial statements and in the recognition and measurement of financial instruments. The latter has brought momentous changes in the very framework which is used for preparation of financial statements. For financial instruments, accountants recognize an asset or a liability right at the time of contract rather than at the time of actual transactions. The journey of progress is continuing to meet the information needs of users of financial statements. The world believes that a business entity cannot have good governance without the transparent and reliable financial reporting. This world also believes that a country cannot also be governed unless the policy makers and regulators have an insight into the affairs of business of that country which they can have only through the financial statements of those entities. Mr Jafar Husain has been a member of ICAP for the last 25 years. After qualifying as a chartered accountant he entered into public practice and continued his practice for 8 years. However, teaching was his passion. This led him to join the field of education and training on full time basis. Today he is head of a renowned accountancy school, The Professionals’ Academy of Commerce. He has special interest in Auditing and Financial Accounting. 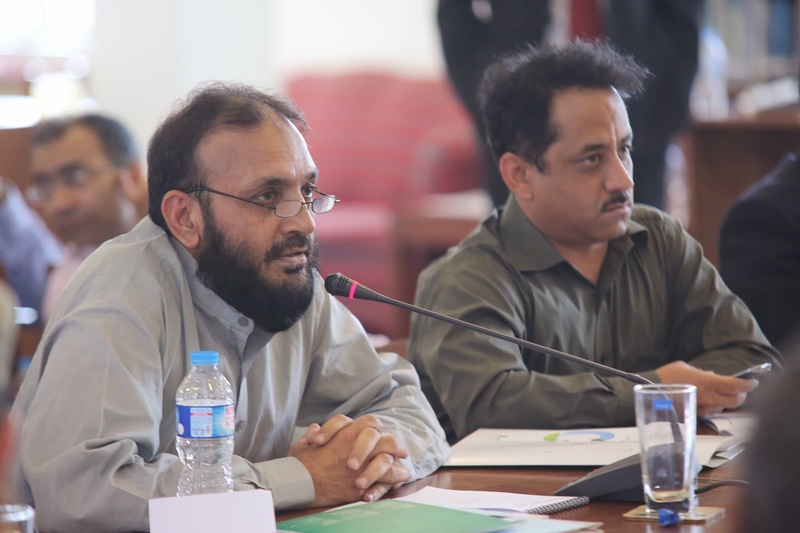 He has been a trainer of FBR offices and has imparted training of auditing and accounting to hundreds of officers. He is a regular trainer in ICAP’s Continuing Professional Development Programme. He is also a member of ICAP’s Education and Training Committee. Credit rating agencies disseminate valuable information about their rated firms via their rating announcements. As privileged parties, credit rating agencies have access to nonpublic information about a firm for their forward looking credit quality opinion, hence increasing their value relevance to market investors. Using a sample of rated firms by JCR VIS rating company limited and PACRA the stock price reaction of rating announcements was investigated over a period of five years using an event study methodology. We document positive abnormal returns for ratings upgrade or positive outlook. Furthermore, our results for maintained or stable ratings were statistically insignificant followed by negative abnormal returns for downgrade or negative outlook. We report higher abnormal returns in the later period of our study demonstrating increasing value relevance of these announcements. The only exception to our results was the year 2007 – 2008 where we could not deduce significant results in favor of our hypothesis. We attribute these insignificant results to an increased uncertainty in the financial environment emanating from the sub-prime crisis and the alleged role of rating agencies that could have resulted in a distortion of value relevance of credit quality opinions. Birjees Rahat is candidate of MBA Banking and Finance at Lahore School of Economics. 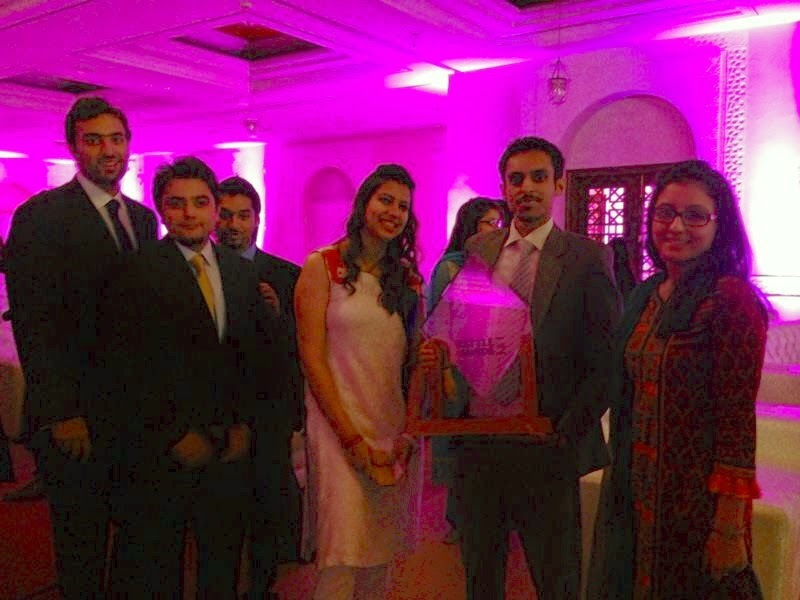 She was team lead of Lahore School of Economics’ runners up participation in local competition of CFA Institute Research Challenge 2014. The evolution of Islamic Finance as a parallel to conventional finance has gained significant global recognition in the past few decades. Islamic Finance is recognized as fundamentally different from conventional finance. Its rapid growth in recent years has coincided with the evolution of regulatory framework and guiding principles by international standard setting bodies. These developments bear cognizance of the unique nature of Profit Sharing Investment Accounts (PSIAs) in an Islamic Financial Institution (IFI) and the rights and obligations unto same. Islamic finance has however only sparingly benefitted from ratings that are suited to Islamic finance and Shari’ah compliant transactions. Recognizing the need for an independent rating methodology that does not try to fit IFIs into the traditional approach to ratings, JCR-VIS Credit Rating Company Limited launched the Fiduciary Rating System from the platform of Islamic International Rating Agency. Sobia Maqbool, CFA is in charge of rating assignments across a diverse range of sectors, including corporates, sub-sovereigns and financial institutions, including commercial banks, insurance companies, investment banks, leasing and modaraba companies (Islamic finance), microfinance institutions, brokerage houses & mutual funds. In addition to this, she is also involved in research activities, development of methodologies & staff training. She has spoken at both local and international forums. She has a Master's degree in Business Administration from the Institute of Business Administration, Karachi and is also a CFA charter holder. This study has been conducted to give readers a brief idea about municipal bond financing in Pakistan and also its application and performance in comparison to its neighboring countries. At the beginning, author discusses the context and circumstantial realities that justify the need of municipal bond financing in Pakistan, given the continuously increasing requirements of urban infrastructure project financing coupled with the significant changes that happened to the overall governance structure, including different tiers of governments, in Pakistan. It also gives the reader a quick view of the bond market in general and discusses its different components including but not limited to municipal bonds. Finally, this study discusses in detail the major frictions creating hurdles for Pakistan in its way to a developed municipal bond market, conjugated with probable solutions and policy recommendations. 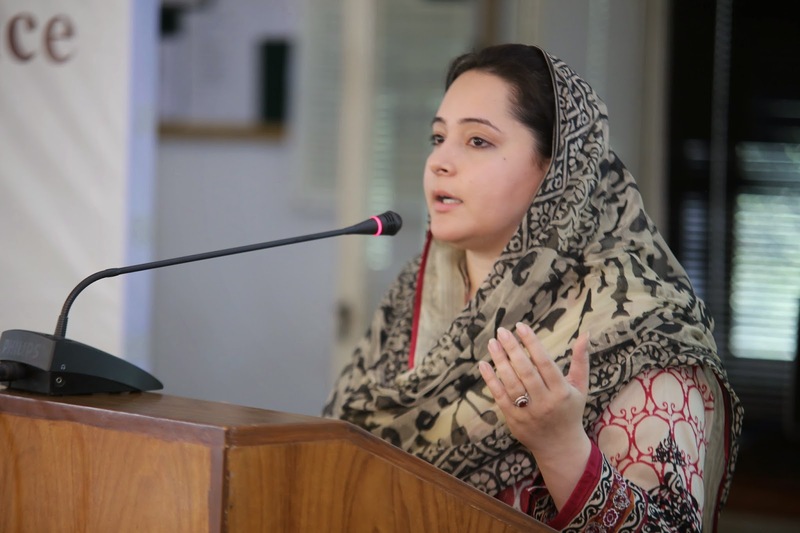 Dr. Bushra Naqvi is working as Assistant Professor at SulemanDawood School of Business (SDSB), Lahore University of Management Sciences where she teaches in the area of Money, Banking and Finance. Dr. Naqvi has worked as research associate and teaching assistant at the laboratory of CES Axe Finance, University of Paris 1– Panthéon Sorbonne from 2007 to 2011. During her stay at Sorbonne, she worked under the supervision of Prof. Christian Bordes (Member ECB Shadow Council); and her PhD dissertation surrounds the policy choices of Asian central banks and assesses the impact of those policies on the behavior of financial markets. 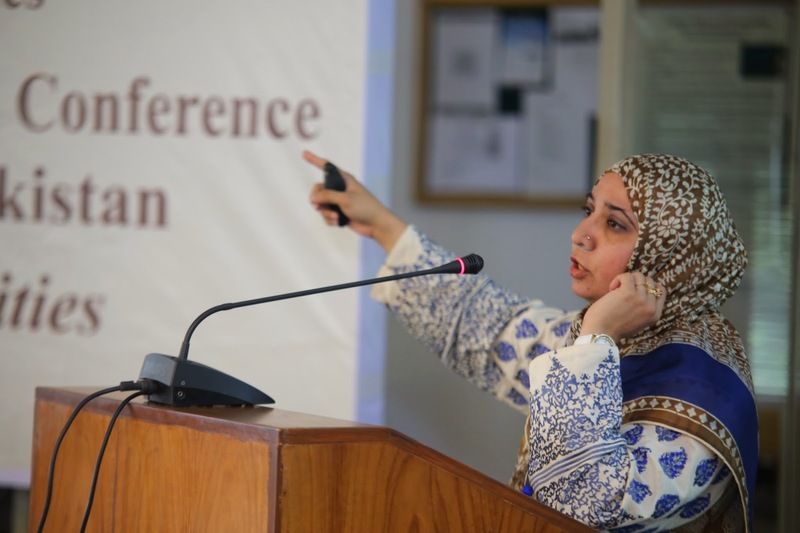 Dr. Naqvi has presented her research work at several International peer reviewed conferences and her articles have been published in Quantitative Finance, Applied Financial Economics and Economic Research. Besides her research and academic concentrations, Dr. Naqvi also owns the charter of Financial Risk Manager (FRM) from Global Association of Risk Professionals (GARP), USA; which is a globally recognized benchmark and professional designation in the area of financial risk management. People from different parts of the world increasingly meet and work together. These people may differ with respect to their values and behaviors based upon their cultural backgrounds. The use of time is one of the cultural aspects that can differ between cultures. However, not much attention has been devoted to study the use of time cross-culturally, whereas many notice this in practice. In this study, we focus on punctuality, or the sensitivity to deviations from appointed times.This deviation - how early and how late is still regarded as acceptable - has been termeda window of time. In this study, we compare Dutch (n = 86) and Pakistani (n= 83) respondents’ windows of time by having them respond to different scenarios. We test six hypotheses regarding cultural values, windows of time, and lateness. As expected, Pakistani have wider windows of time than Dutch respondents, indicating that a larger time frame acceptable to arrive earlier or later for an appointment. We compare latenessto appointments in different roles, such as meeting a friend for lunch, a teacher meeting a student, or a government worker meeting an official. Pakistani accept larger time frames of lateness than Dutch. Both Pakistani and Dutch agree that it is more acceptable that a friend arrives late for lunch. However, we find that the Dutch do not distinguish between the roles of the other scenarios, whereas the Pakistani do: the higher the societal role, the later a person can arrive. This is in line with the differences on the cultural dimension power distance found in this sample, and it confirms previous research on this dimension. We will discuss theoretical and practical implications of our findings. 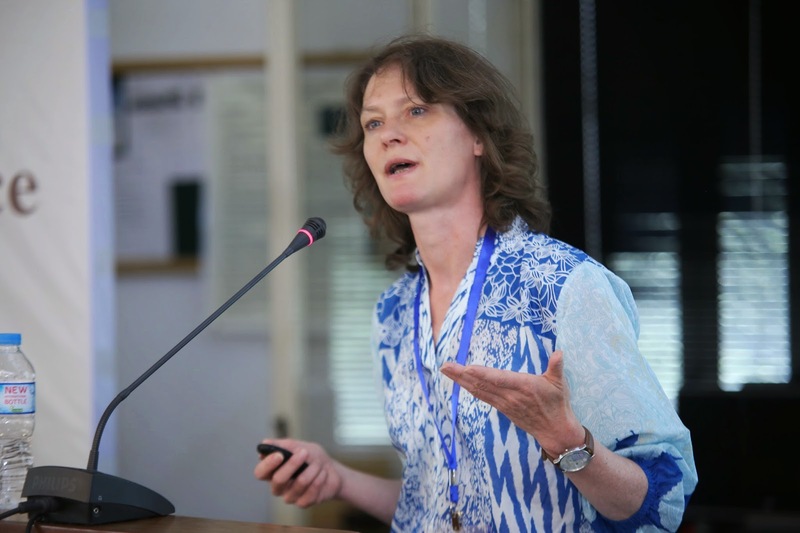 Dr. Wendelien Van Eerde is an Associate Professor at University of Amsterdam, Business School. Her research focus is on the self-management of employees, and in particular how they use their time. She published several articles on procrastination, and how planning and time management are related to outcomes at work. Topics of interest also include polychronicity, multitasking, meetings at work, and cultural differences in the use of time. She has served as a co-promotor for six PhD dissertations on these topics. She has achieved an Outstanding Reviewer Award in 2009, 2008, and 2006 (Organizational Behavior Division of the Academy of Management), among other research awards and grants. 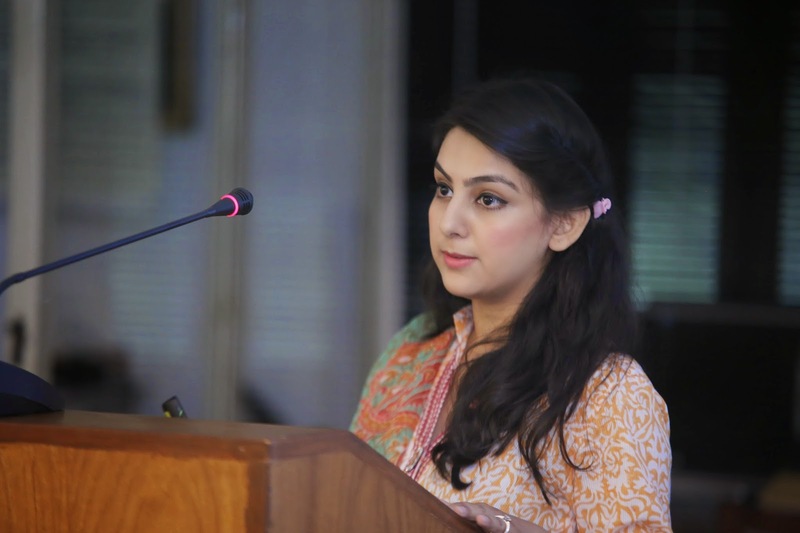 Ms. Sana Azar is Senior Teaching Fellow at the Lahore School of Economics, Faculty of Business Administration. She has a B.Sc. (Hons.) in Computer Science from Kinnaird College for Women and Bachelor of Arts from Punjab University with specialization in Journalism and Economics. Sana completed her MBA (Banking and Finance) from Lahore School of Economics in 2009 and MPhil in Business Administration from Lahore School in 2013. She teaches Marketing, Management and Research courses at the Lahore School. She is currently a PhD scholar at the Lahore School. Her research interests include Time Management, Customer Relationship Management, Leadership and e-Commerce. She has presented papers at prestigious international conferences and published papers in her research area. Rating Agencies (CRAs) give opinion as to relative strength of any entity to meet financial obligations. Like any business in the world, the business of CRAs comes with its own risk. The risk is: Opinion going wrong. The latest edition of financial crises brought this risk to limelight. This magnified their penetration into our financial decisions. Investors had to incur significant losses when a number of rating opinions faltered. They were either late in identifying the risk (subprime mortgage loans) or hasten the crises by magnifying some risk (Banks and sovereign rating). Were CRAs negligent, incompetent, or dishonest? ; we are still looking for the answer. Raters are being rated. Rating agencies are still around and growing. Investors continue to believe in their opinions. We as a system value the ratings. Why? Can’t they fail us again? Notably a lot has changed for positive. Regulators realize the importance of strong oversight on CRAs; new laws, comprehensive code of conduct are being implemented. CRAs, more than ever, know that while being transparent they have to be intelligent in their methodologies and practices, For investors rating opinions are key inputs for final decision, but not the only tool. It is a better system now. We have to understand ratings. These are not just opinions – these are knowledgeable and independent. If done right a rating provides valuable information to investor – the likelihood of default; but on a relative basis, not standalone. 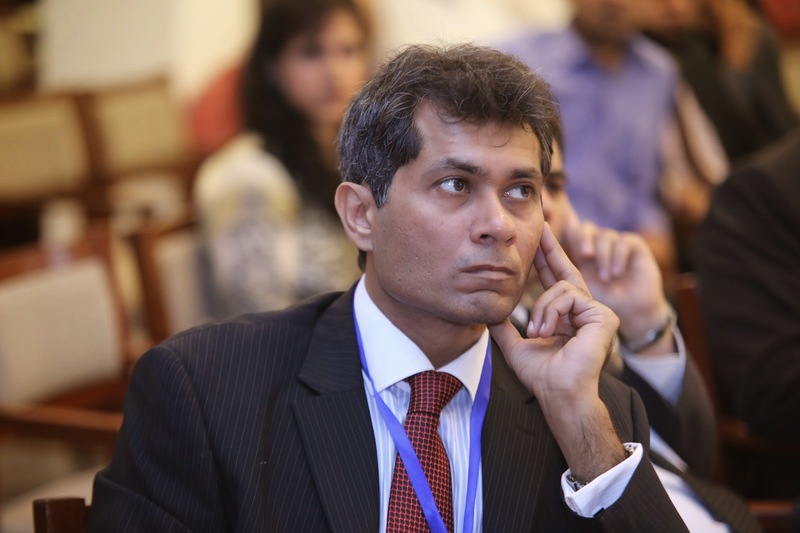 Mr. Shahzad Saleem is Chief Operating Officer at PACRA. He has held several positions beginning his career as an analyst at PACRA in 2000. He leads multiple developments at PACRA including technological advancements and rating criteria with a structured and consistent approach. While being responsible for overseeing work planning, execution and its monitoring, his role includes mentoring an expanding team of young analysts and guidance to unit heads. Prior to joining PACRA, he was associated with a leading firm of Chartered Accountants and worked there for more than 5 years, taking his overall working experience to 17+years. The study was conducted to investigate the spillover effects originating from the Banking sector and directionality of these effects on various sectors of Pakistan. The sectors under study were Banks, Oil and Gas, Construction, Chemical, Food Producer, Fixed Line Telecommunication, Electricity sector and Personal Goods sector. Daily data of 251 companies was considered and the time period studied was from 2008 to 2011. We investigated the spillover effects originating from Banking sector and whether they differ across different sector but also examined whether correlation of Banking sector with other sector varies over time. We used BEKK parameterization as used by (Engle & Kroner, 1995) to detect volatiltity transmission among Banking and all other sectors. We also conducted Granger Causality test on weekly portfolio returns, volatility and conditional standard deviation to have a better understanding. The results of daily data showed returns of banking sector significantly impacted returns in Oil and Gas sector, Chemical and Electricity Sector Returns in Construction and Chemical sector impacted return in banking sector. We tested Granger Causality, on weekly portfolio returns, volatility and conditional standard deviation and then ran the GARCH model on weekly and monthly data set. We concluded that banking sector did play a crucial role in impacting various sectors of the economy but it was also evident from the results that few sectors did impact the Banking sector too. 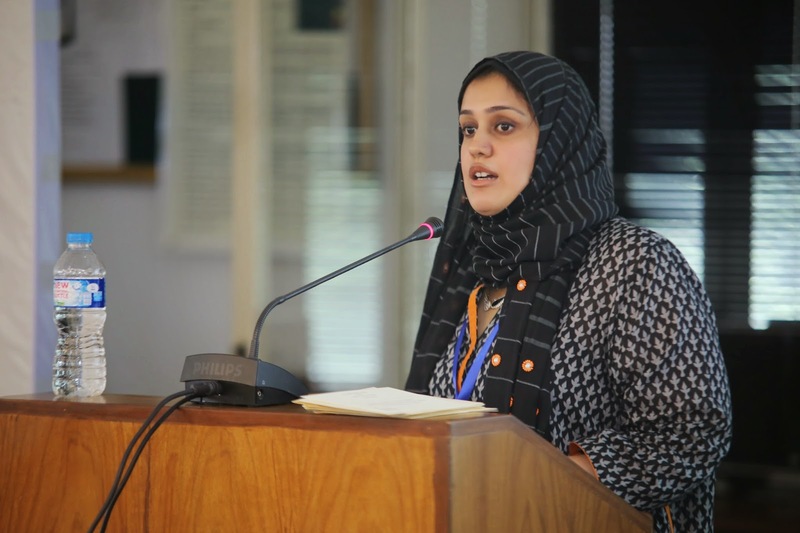 Ms Mehrukh Salman is Senior Teaching Fellow at the Lahore School and a PhD candidate. She is a gold medalist in MPhil and on Dean’s Honor list in BBA, MBA and MPhil. She has a B.B.A (Hons. 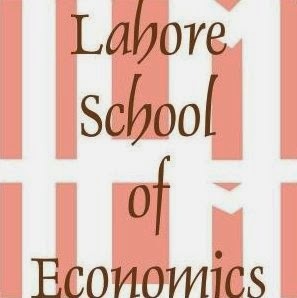 ), MBA and MPhil from Lahore School of Economics. She have been teaching various business courses to under graduate students since 2009 and it is due to her profound association and work in research she is involved in assisting numerous student each academic term in their final thesis. It is common knowledge that many opinion polls rate the financial services industry very low on the scale of trust and integrity. People overreact and become convinced that everything about finance is rigged and dishonest. Others see a fundamental shift in the level of dishonesty, greed, and unethical behavior in the industry. They pine for an industry that once was a professional calling, which cared strongly about a client’s well-being. That profession, they feel, has morphed into a business absolutely focused on gathering assets and extracting fees. Whether negative perceptions or an actual decline in industry integrity, the financial industry today faces a crisis of Trust that threatens its future. Without trust, markets don’t function properly and growth prospects are limited. Now the Question is what can the financial industry do to change its trajectory? In order to put a brake on the continuously deteriorating Trust level of investors in the finance industry more than a set of rules and enforcement is required; a highly ethical attitude of market participants would be the most welcome solution in this regard. The adherence of investment professionals to ethical practices benefits all market participants and increases investor confidence in global financial markets. Clients are reassured that the investment professionals they hire operate with the clients’ best interests in mind, and investment professionals benefit from the more efficient and transparent operation of the market that integrity promotes.. Ethical practices instill public trust in markets and support the development of markets. Sound ethical culture is fundamental to sustainable capital markets and the enhancement of the investment profession in the eyes of investors. Kashif Shamraiz, CFA is a Corporate & Institutional Banker having more than 9 years of broad-based and diversified experience with exceptional track record in Relationship Management, Corporate Lending, Syndications, Islamic Finance, Trade Finance, Seasonal/Commodity Finance, Credit Appraisal & Deal Structuring, Credit Risk Management and Financial Training. 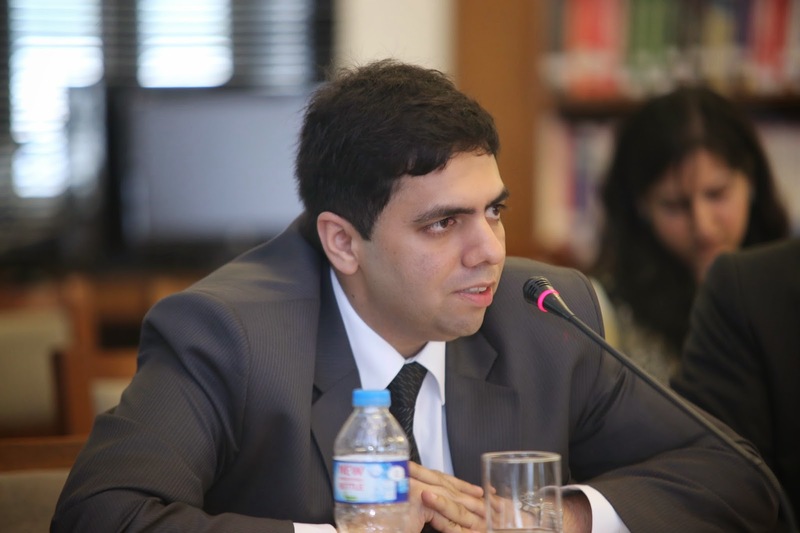 Currently, he is working with Allied Bank Limited as SRM/Team Leader-Corporate & Investment Banking Group, wherein he is responsible to manage a well diversified credit portfolio of over PKR 25 Billion comprised of 27 active relationships including top of the line Corporate Houses and Conglomerates from diverse sectors such as Chemicals (ICI Pakistan, Engro Polymer), Fertilizers (Engro Fertilizers & DH Fertilizers) Power (EngroPowergen, Sindh Engro Coal Mining), Financial Institutions (Pak-Kuwait, PAIR), Textile (Naveena Exports, Al-Karam), Utilities (SSGC) and FMCGs (Engro Foods). Before joining Allied Bank, he has also served Meezan Bank Limited as Senior Relationship Manager-Corporate Banking. This paper examines the performance of sell side analysts based on their one year forward target price over a period of five years, between 2008 and 2013, using a sample of 130 recommendations. We find that only 5% of the target prices were met at the end of the forecast period while 30% of the recommendations were achieved at some point in time during the forecast horizon. The analysts’ forecasts were optimistic with average target price returns exceeding actual returns by 12% with an absolute forecast error of 65%. Further, we segregated the target price into multiplier and discounted valuation methodologies and find the former to be more accurate with 50% of the target prices being achieved during the sample period compared to 10% for discounted valuations. We link the forecast error to the discount rate using a small sample of 40 recommendations and report that capital asset pricing model (CAPM) misprice the cost of equity resulting in optimistic target price. When we replace CAPM with multifactor asset pricing models for estimation, our synthetic target prices resulted in an improved forecast with 40% discounted valuation forecasts realizing during the target horizon. We conclude by advocating the use of multifactor asset pricing frameworks in economies like Pakistan where stock markets are subject to volatility clustering and higher order moments. 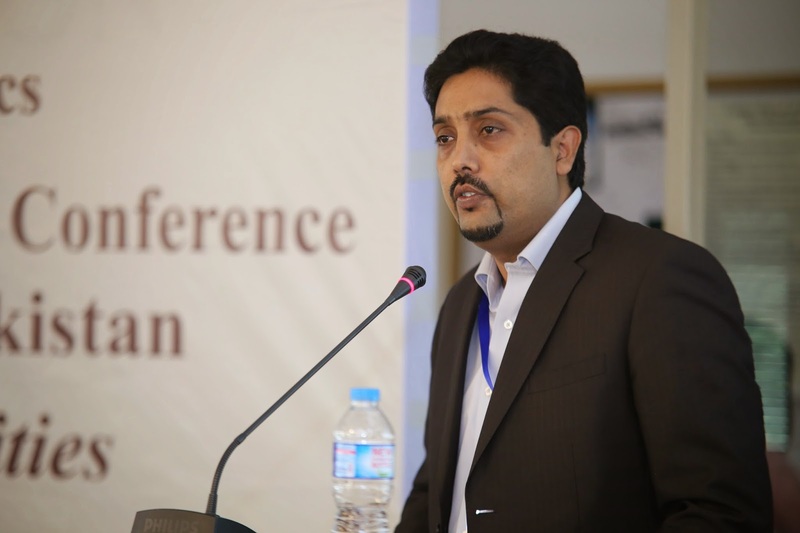 Dr Nawazish Mirza is Associate Professor of Finance at Lahore School of Economics. He holds a doctorate degree in quantitative finance from University of Paris Dauphine. He teach courses in the areas of Risk Management, Corporate Finance, Investment Analysis and Portfolio theory at MBA and Doctorate level. He also provides consultancy to The Biogerontology Research Foundation UK and JCR VIS Credit Rating Company Limited. There are inherent rights of investor when they work with financial professionals and when then enter into any financial transaction. Investor Rights apply not just to services provided by financial professionals but also to products offered by financial firms. These products may include, but are not limited to, checking accounts, insurance policies, annuities, mutual funds, retirement accounts, brokerage accounts, stocks, bonds, options, commodities, and alternative investments, such as hedge funds. These rights are truly global and apply to all countries and locations, all financial markets and products, all the time. This is intended to empower you as an investor to both understand and claim your Investor Rights in financial matters. Before you meet with a financial professional or purchase a financial product, review the Statement of Investor Rights and the guide in your folders. When it comes to financial matters, the more information you have, the better. 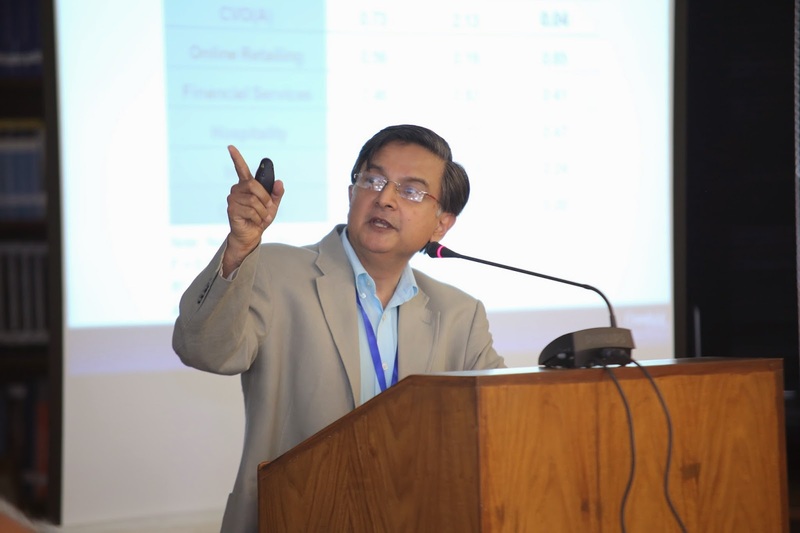 Ashraf Bava, CFA did his BBA (Hons) and MBA from Institute of Business Administration, Karachi in 1994 and subsequently became a Chartered Financial Analyst (CFA) in the year 2001. After briefly working for a cellular company he joined the brokerage industry and worked in places like AKD Securities and Indosuez WI Carr Securities. He worked in the Equity Sales department and was heading the equity desk at Elixir Securities before taking the management role of Chief Executive in 2005. He has travelled extensively to market Pakistan equities and to attend conferences in US, UK and Far East. In 2009 he set up Nael Capital (Pvt) Limited which is a corporate brokerage house of Karachi Stock Exchange. 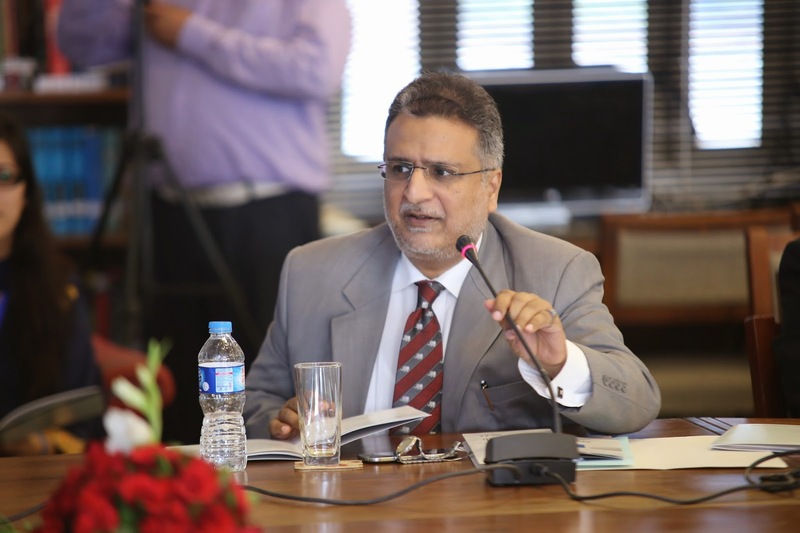 He has also served on the boards of Karachi Stock Exchange and National Clearing Company of Pakistan Ltd. in the year 2011 and also chaired the Trading Affairs Committee of the Exchange. He has been volunteering for CFA Society Pakistan since its inception in 2002 and has served on various boards of the society. He is currently serving as the President of the society for a 2 year term. At the society level he has been actively involved in promoting ethical standards, best practices and awareness of global products in the local capital markets by arranging various seminars, webcasts and other advocacy initiatives. NAFA has carried out a study with the objective to provide a framework for managing investments. The study recommends use of Modern Portfolio Theory and strategic asset allocation process to investment decisions on the basis of a three-dimensional view of the risk, return, and the correlation among asset classes. In our study, we have calculated the performance of five key asset classes from January 2001 to December 2013. The results reveal that the Capital Protected Strategy has the highest Sharpe Ratio. Thus, if an investor wants to earn a return reasonably higher than inflation, while reducing the risk at the same time, Capital Protected Strategy is the best available option. We further identify that the Optimal Portfolio that offered the highest excess return per unit of risk over the 2001-2013 period comprised of 4% investment in PIBs, 27% in Special Savings Certificates, and 69% in Capital Protected Strategy. This portfolio offered nominal return of 13.3% p.a. with annualized standard deviation of 5.8%, which resulted into maximum Sharpe ratio. Dr. Amjad Waheed holds a doctorate in Investments & Finance from Southern Illinois University, USA and is also a Chartered Financial Analyst. 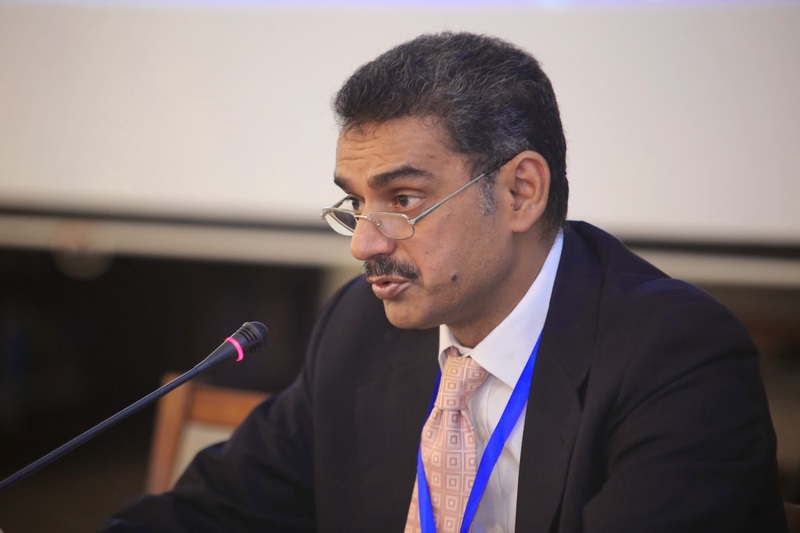 For the last 8 years he is CEO of NBP Fullerton Asset Management Ltd (NAFA), which is a subsidiary of National Bank of Pakistan, with Fullerton Fund Management Company of Singapore as the other joint venture partner. NAFA is presently managing eighteen mutual and pension funds, and several portfolios. Total assets under management of NAFA are presently about Rs 45 billion. NAFA is among the largest Asset Management Companies in Pakistan today. Before joining NAFA, Dr. Amjad was Head of Equity Mutual Funds & Portfolios at Riyad Bank, Saudi Arabia, for about 5 years where he was managing US$ 7.5 billion invested in 22 mutual funds. Prior to that Dr. Amjad was Head of Investments at NIT, and Chief Operation Officer of FC-ABN AMRO Equities for several years. 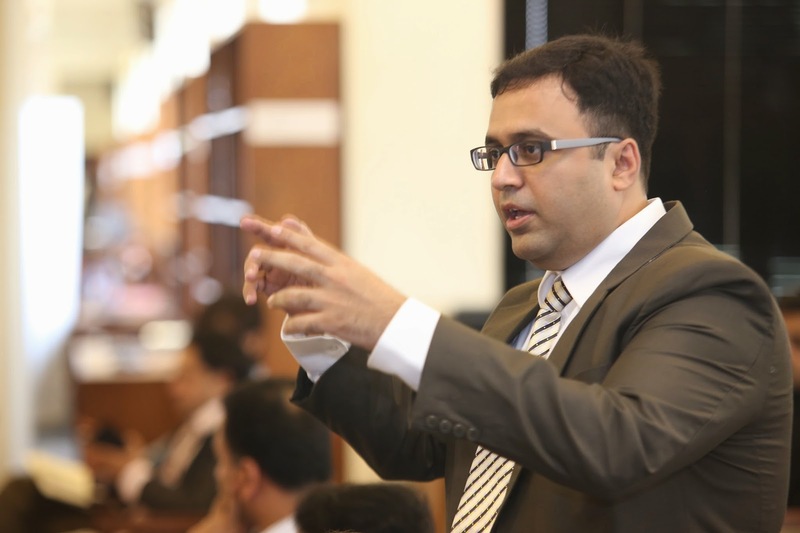 Before moving back to Pakistan, Dr. Waheed was Assistant Professor of Finance at Tennessee State University, USA. He has published several articles in top journals of the world such as Journal of Banking & Finance and Financial and Financial Management. Dr. Amjad has served on the Board of various companies including Siemens, Nishat Mills, PICIC, Askari Bank, Millat Tractors, Fauji Fertilizer, Pakitstan Tobacco Company, Treet Corporation, Gul Ahmed Textile, Bata Pakistan. The students enrolled in the Environmental Economics course could relate with the concept of liability laws and compensation. The speaker also covered international agreements that Pakistan had signed and ratified that had environmental implications. 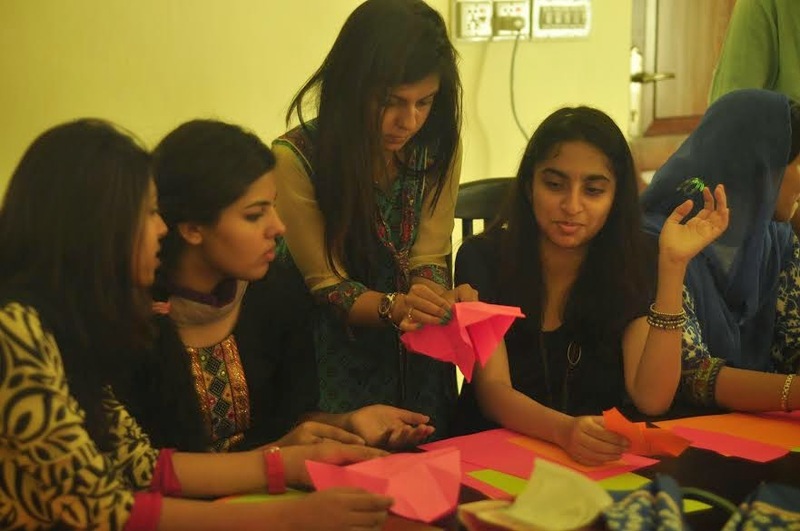 Lahore School Society of Arts organized an Origami Workshop on May 14, 2014 in Faculty Lounge. More than 25 members participated including both students and some faculty members. Live streaming was done through Skype, through which a Chinese instructor all the way from China taught the art of folding papers, without using any scissors or glue to make different paper sculptures and decorative things e.g animals, birds, flowers and more. Participants were also given a lecture on the history of Origami and its origin. 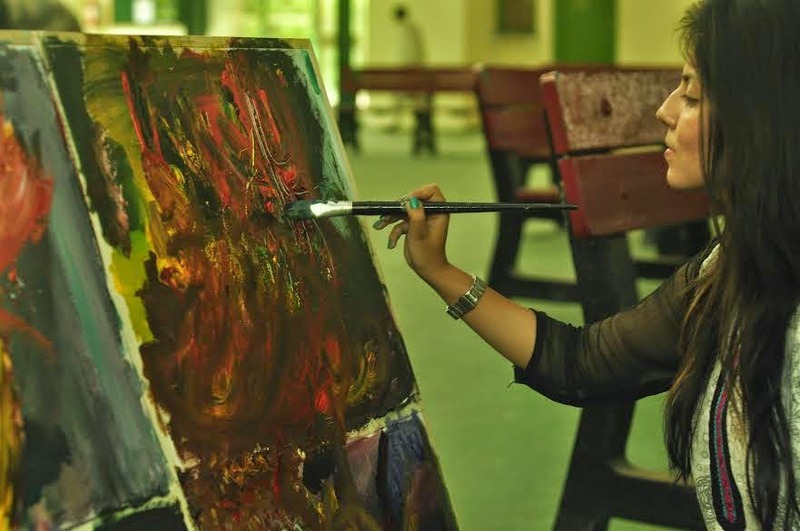 Lahore School Society of Arts' seventh Abstract Painting Workshop was organized to teach the participants different techniques. 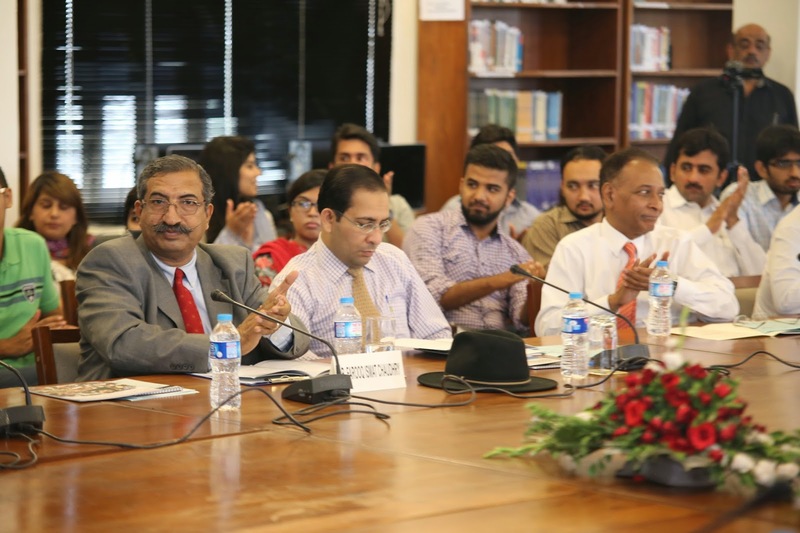 Around 50 participants (student as well as faculty) attended the workshop. The medium used for painting in the workshop was acrylic paints. All the supplies including paints, brushes, pallets and canvases were provided by the School. There were total nine big canvases which were divided into four parts using the masking tapes. Each canvas was allotted to four participants that accommodated almost 36 students, while rests of the participants were provided with A3 white paper. Participants were also provided with the cut out of birds, flowers, objects, human figures to help them pick a theme for their paintings. 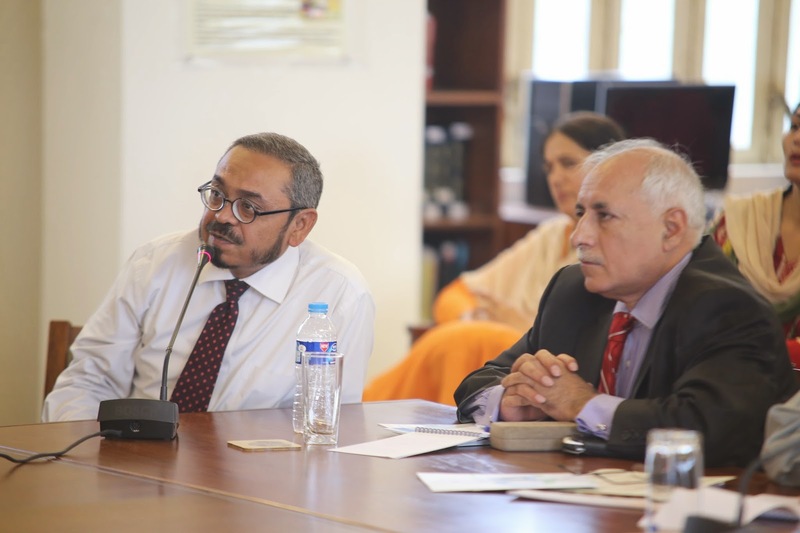 Mr. Shahid Maqsood, COO FINCA Microfinance Bank visited the Lahore School of Economics on May 20, 2014 to deliver a lecture ‘on microfinance in Pakistan and worldwide along with career options and opportunities’ to the graduating MBA class. The speaker started off his talk by first discussing the difference between commercial banking and microfinance banking, the average spread size and current tax structure and FINCA’s role in bringing a positive change in the lives of its clients by improving their standard of living, generating employment and reducing poverty. The students actively participated in the question and answer session. The Lahore School of Economics Team won the Battle of the Minds 2014 competition arranged by the Pakistan Tobacco company. 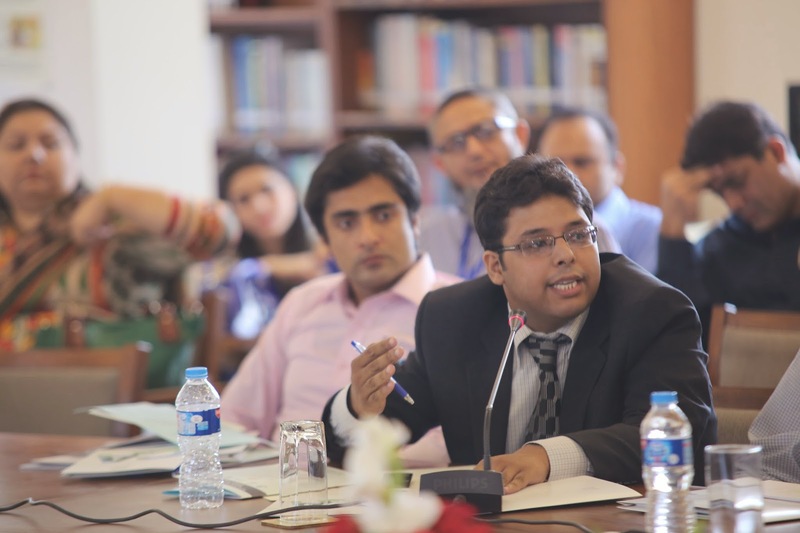 Battle of the Minds has a rich legacy in South Asia Area (SAA) as one of the most successful competition based platforms to source the crème de la crème talent from a broad spectrum of universities across the academic landscape in Pakistan and Bangladesh. Over 12000 students registered for the event and 7000 gave the test. The semifinals included 10 teams selected from the six top universities of Pakistan, out of which 5 teams reached the final round. The final round took place in Serena Hotel in Islamabad, on April 28, 2014. 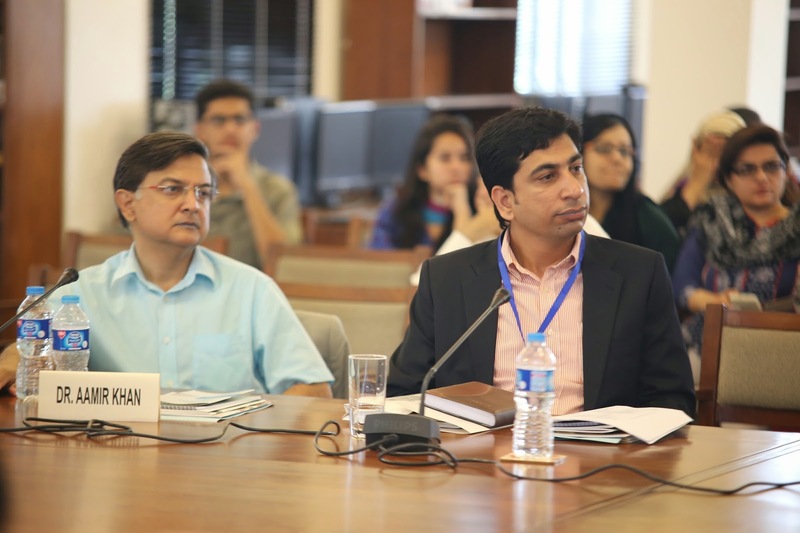 The panel of judges included Mr. Kamran Lashari, Dr. Moeed Pirzada, Executive Director GAP, Sacha Cotting, Marketing Director South Asia and Mr. Muntaser Khan Head Supply Chain of PTC .